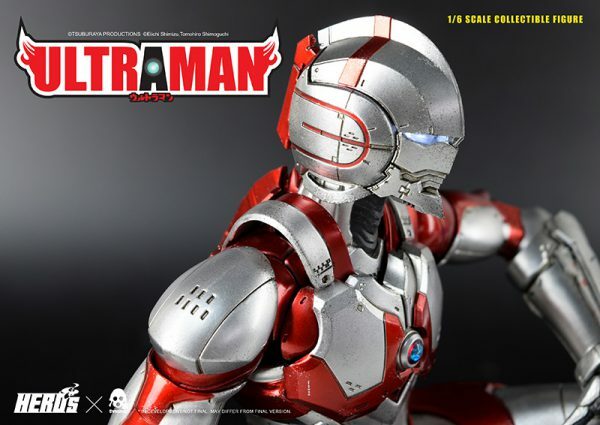 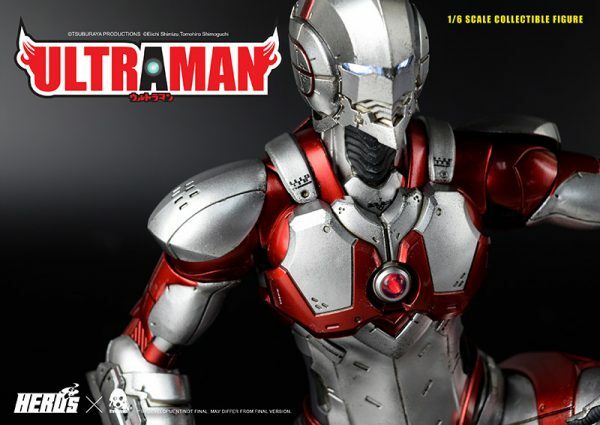 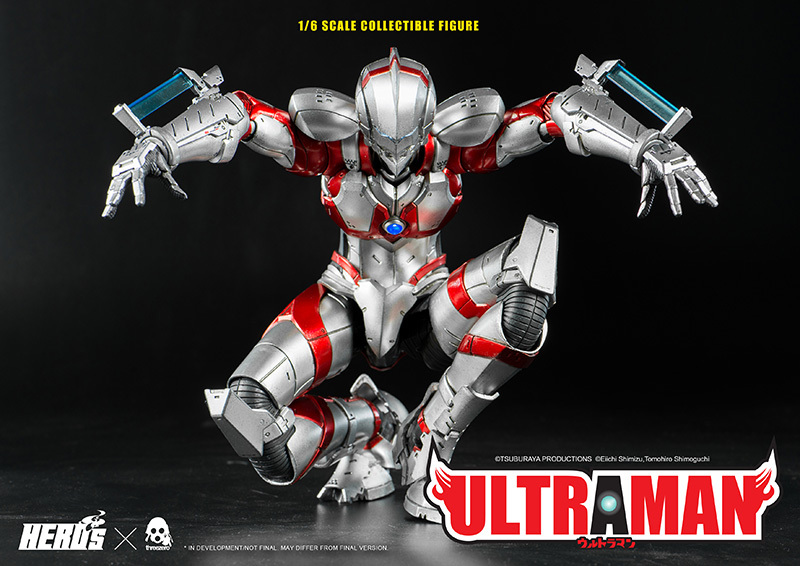 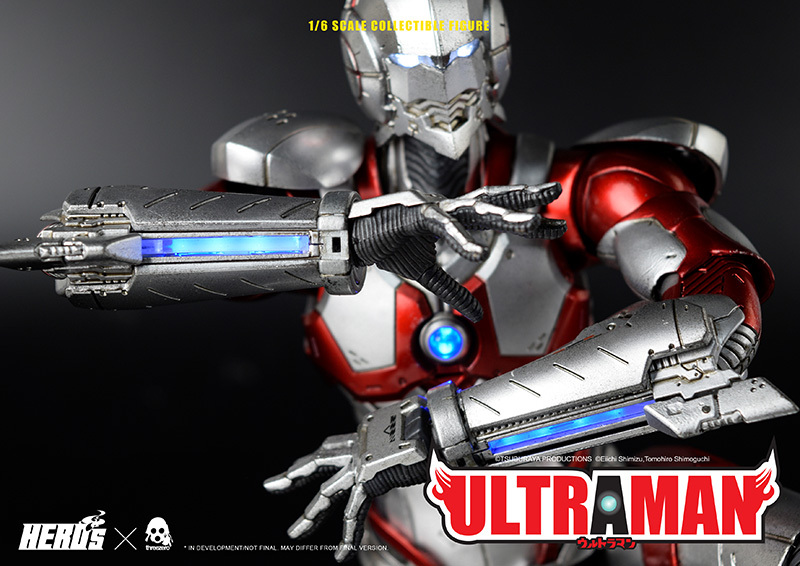 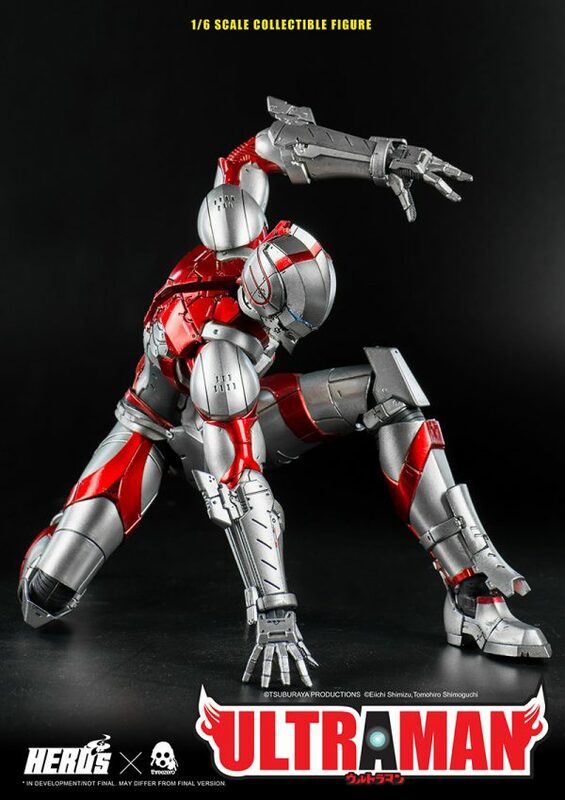 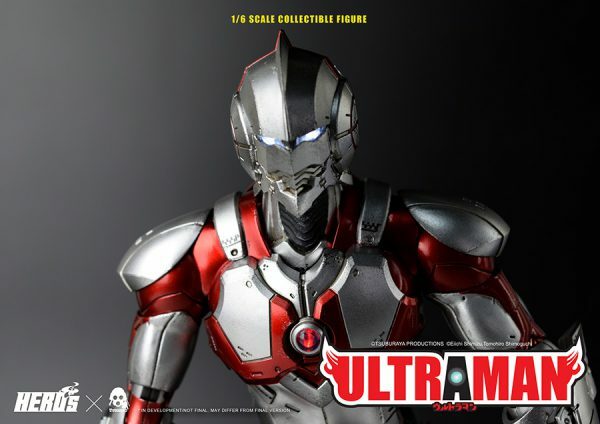 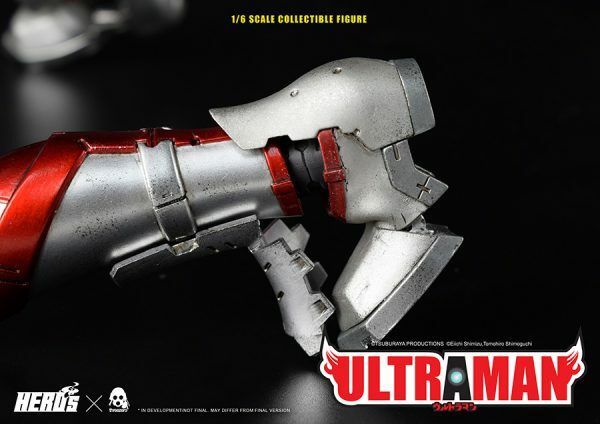 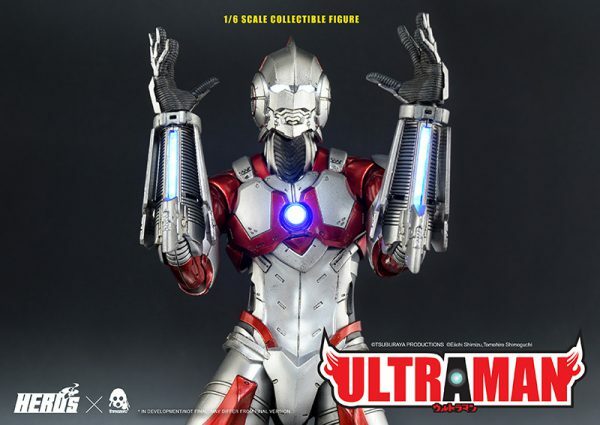 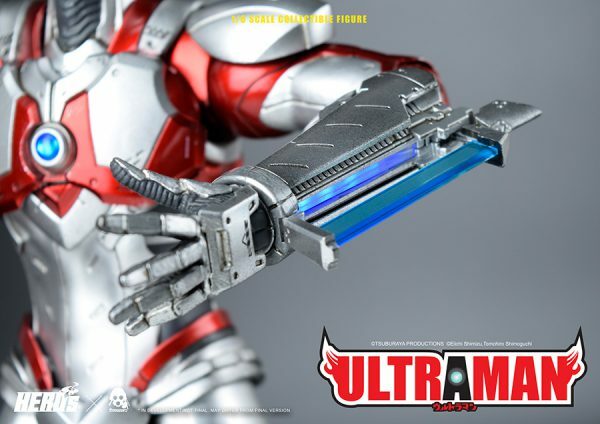 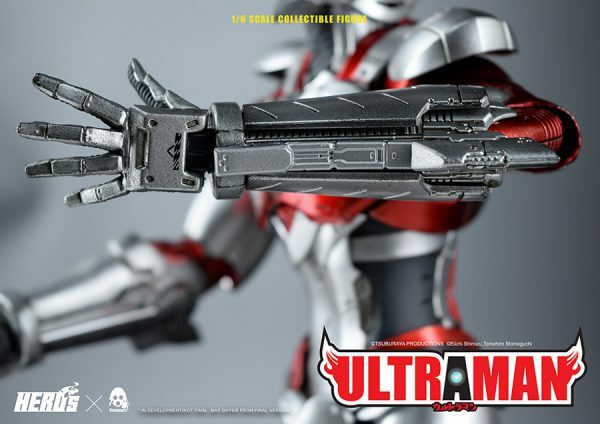 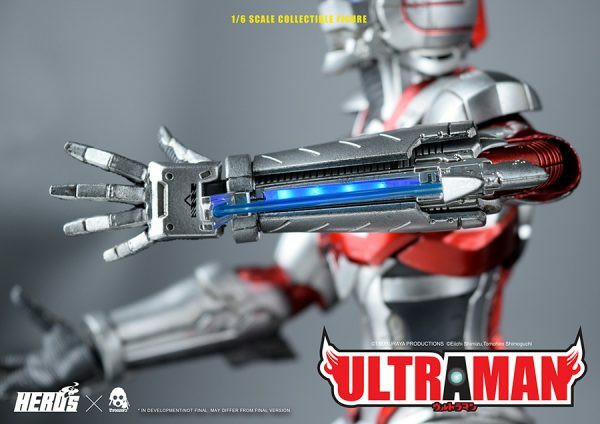 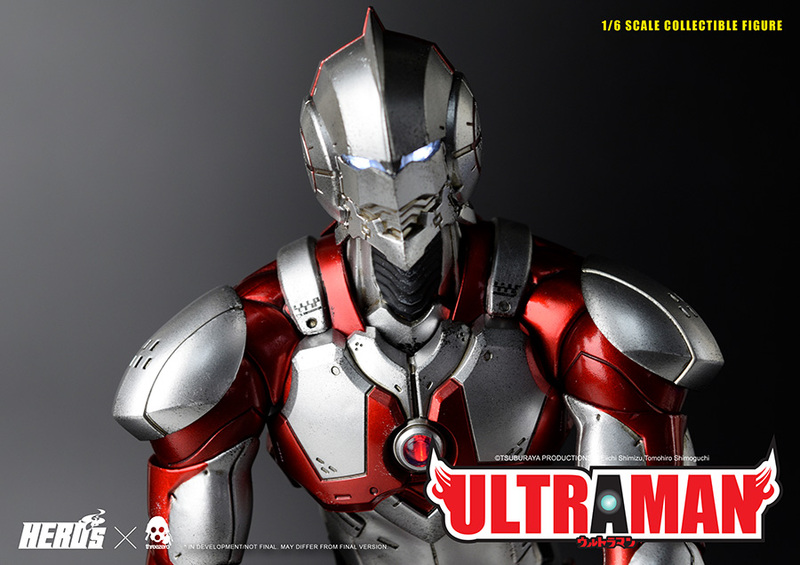 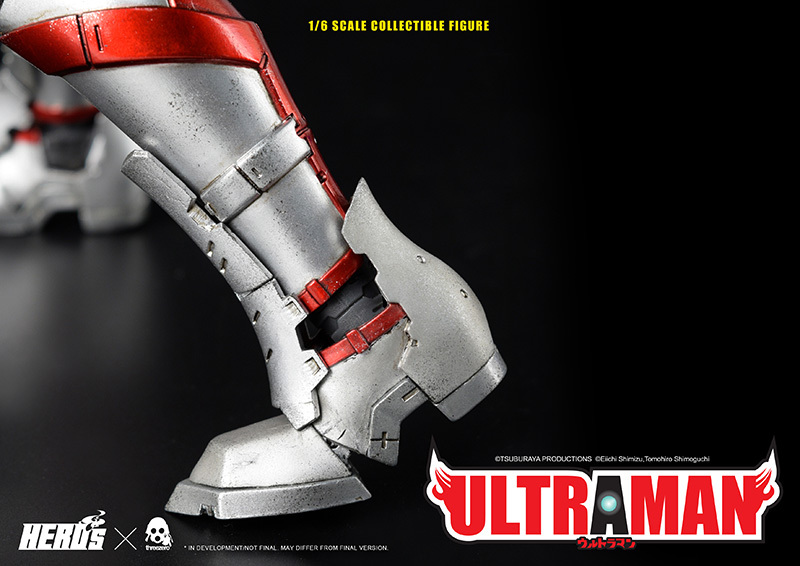 We are very excited to announce that 1/6 ULTRAMAN SUIT collectible is available for pre-order at www.threezerohk.com starting from NOW for a limited time only! Collectible price at Threezero Official Website is USD260 / HKD2,050 with Worldwide Shipping included in the price. 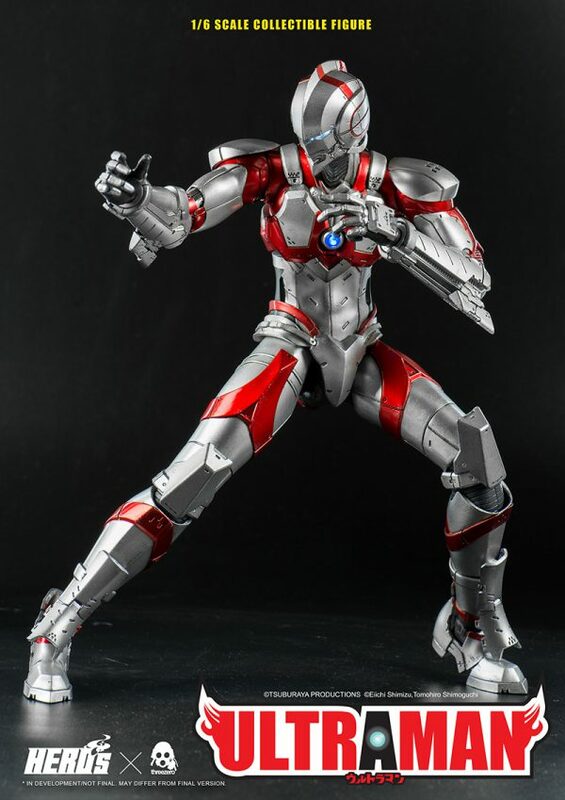 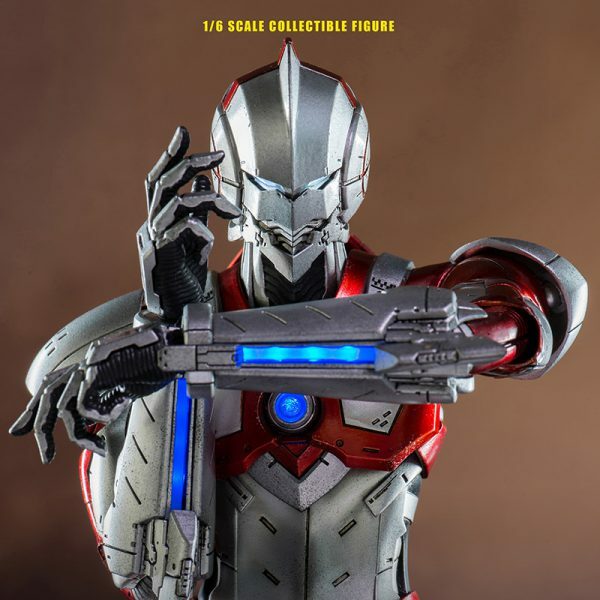 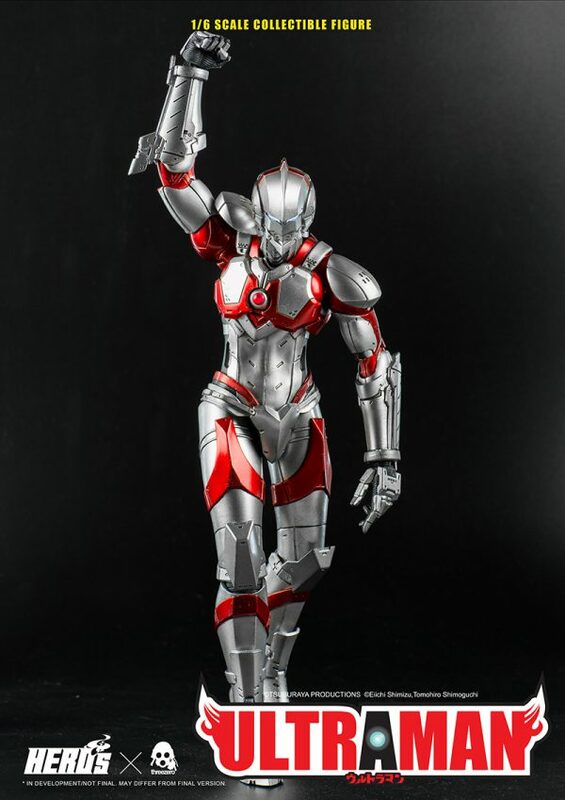 1/6 ULTRAMAN SUIT collectible figure stands approximately 12.2” (31cm) tall and features original body with over 40 points of articulation, based on the appearance in ULTRAMAN manga. 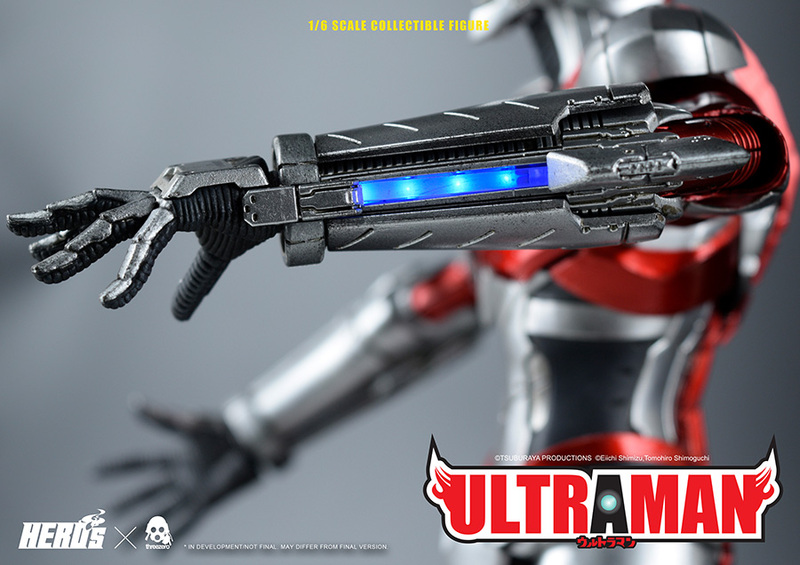 LED Light-up Features in the Eyes, Color Timer on Chest and Spacium Blade device on both arms. 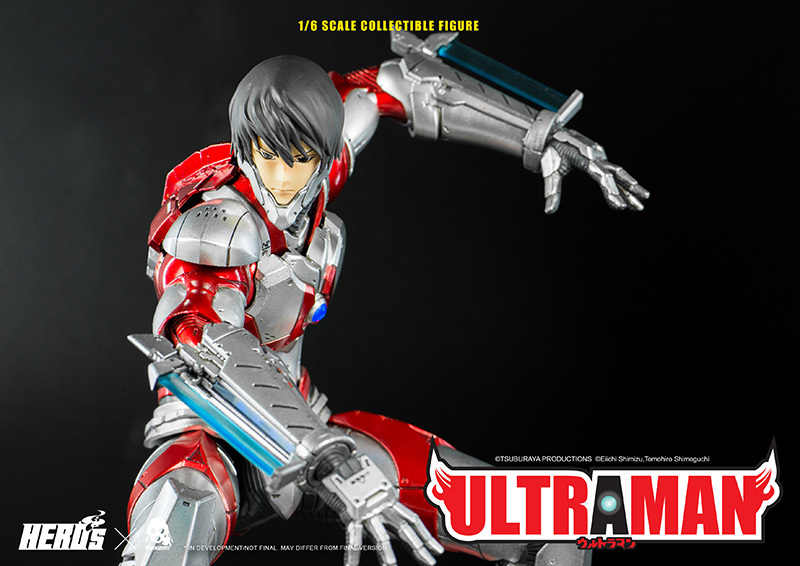 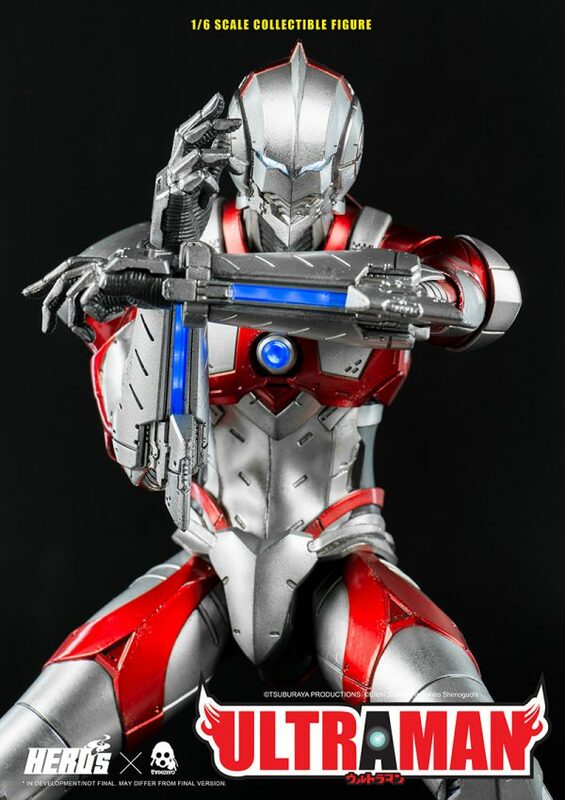 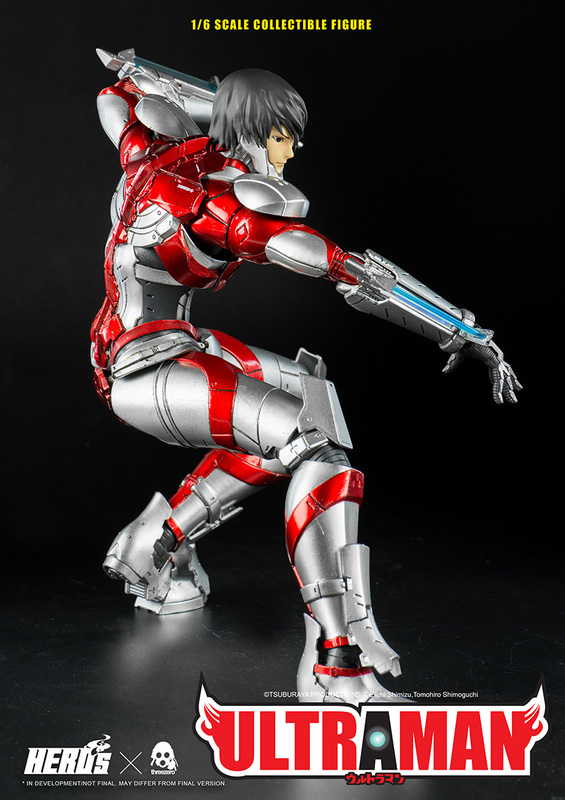 Figure comes with Spacium Blade Arm Blade Effect Pieces (clear parts); Extremely detailed Interchangeable Shinjiro Head (sculpted by Ryu Oyama); and Four Pairs of Exchangeable Hands. 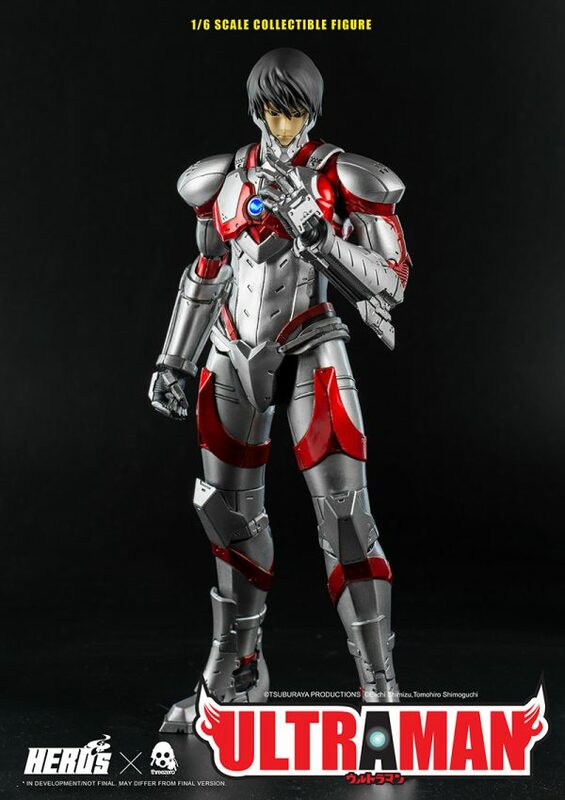 *In development/Not final. 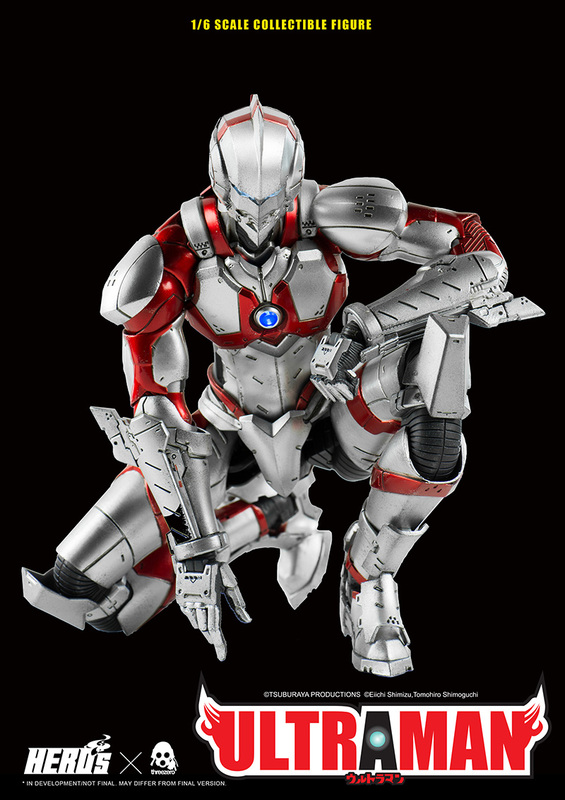 May differ from final version. 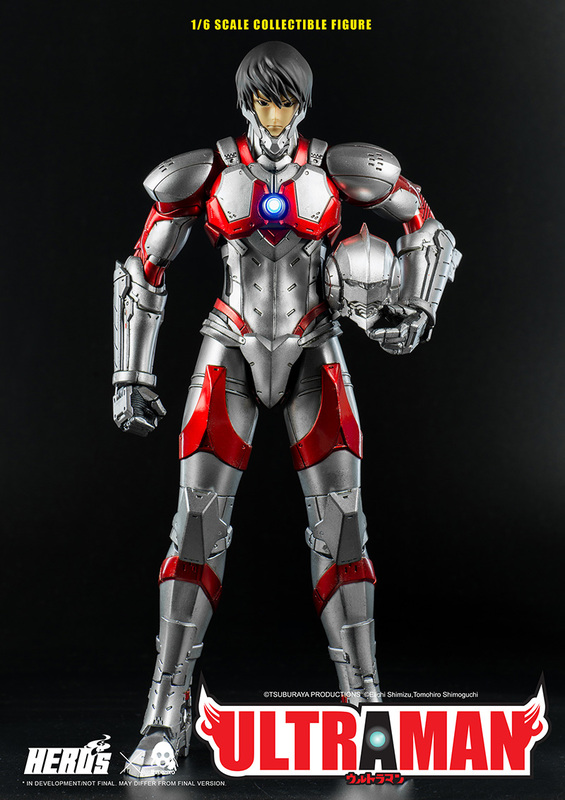 Requires 8 x AG1 Button Cell Batteries and Batteries not included. 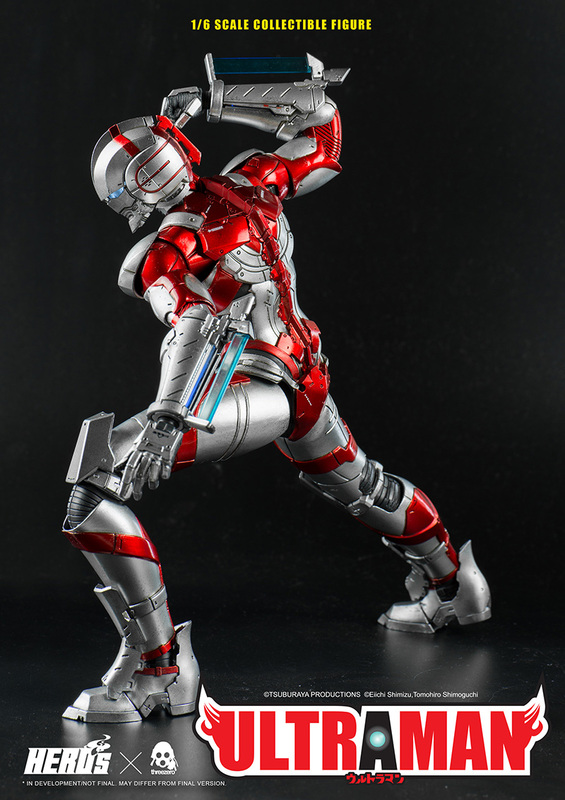 1 pair Spacium Ray shooting pose.